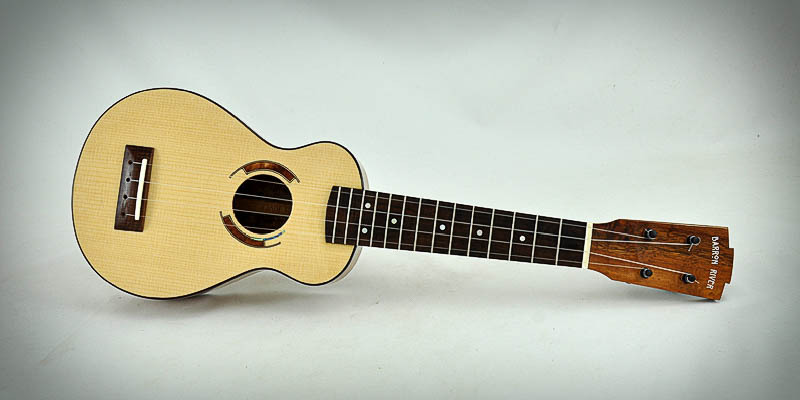 Curly Koa and Red Spruce soprano with a 12” radius on the fret board. 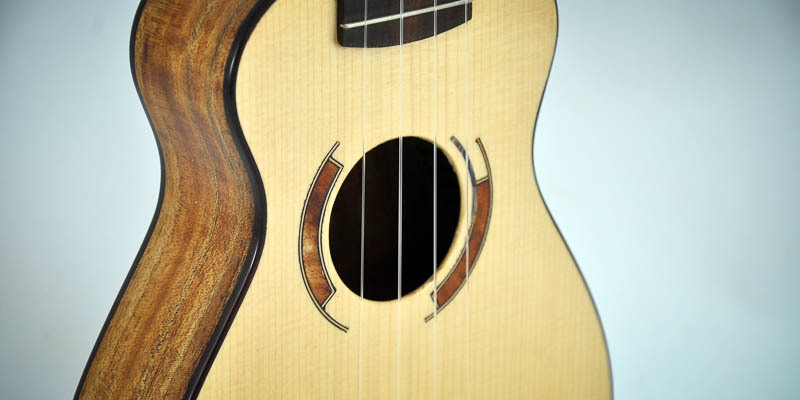 Peg Head 4:1 planetary tuners make for fast and precise tuning. 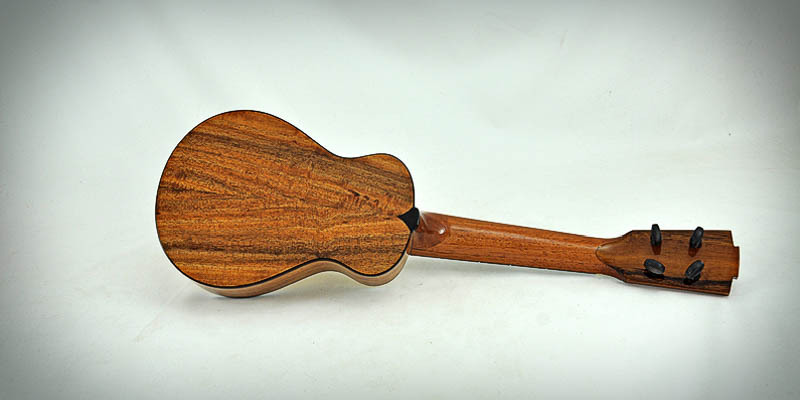 Spanish Cedar neck with Carbon Fibre truss rod. 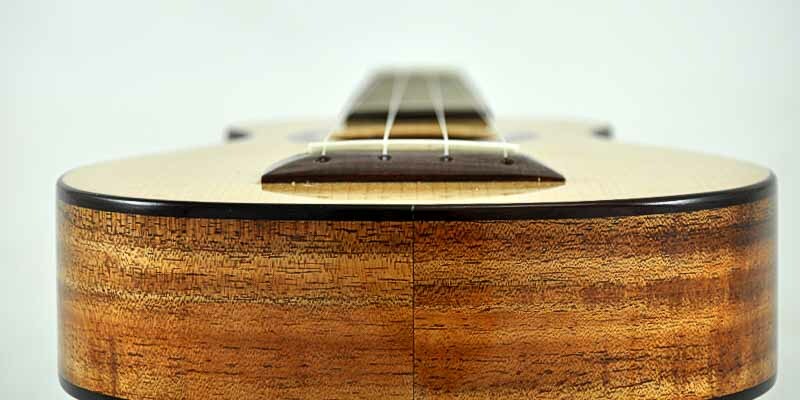 Fret board and bridge are Gidgee. 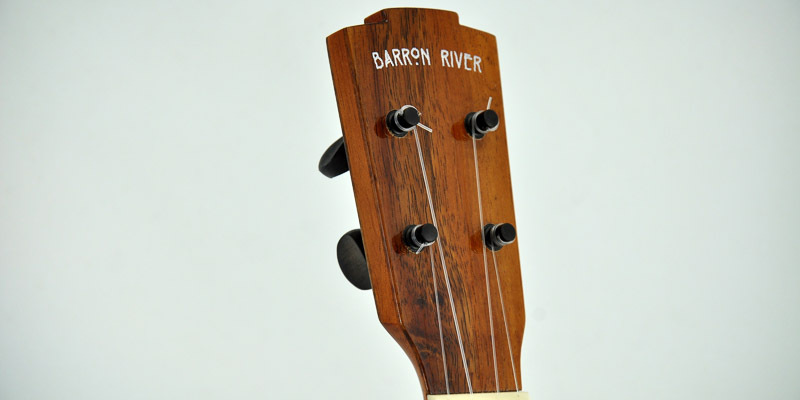 Bindings are Indian Rosewood. High Gloss lacquer finish.